Moving? We can help. 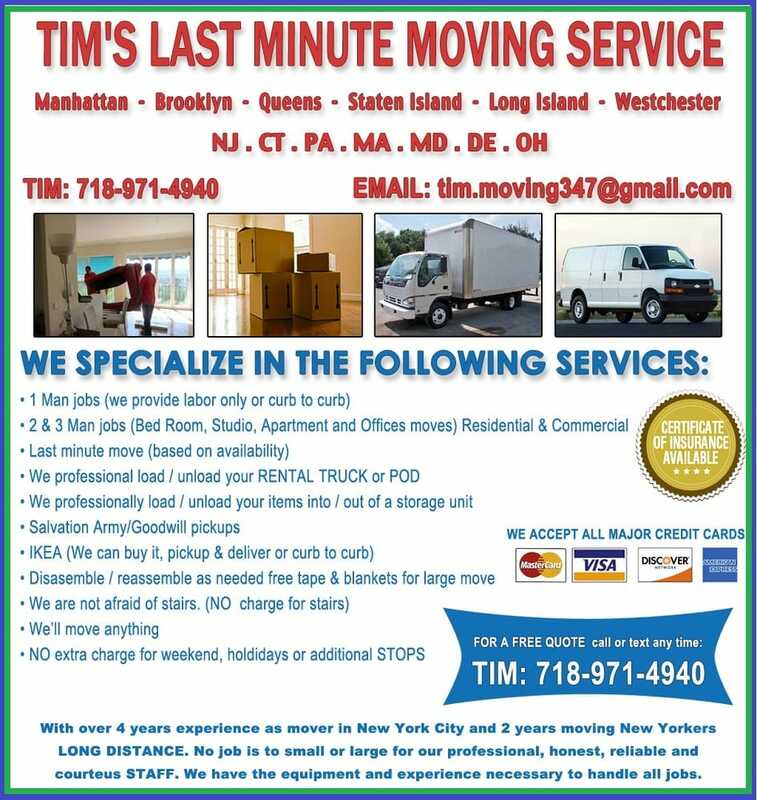 Tim`s Last Minute Moving has been moving families and businesses for years. Our expert staff can help you plan your move across the street or anywhere within our professional movers will make sure your things arrive at your new home safe and on time! 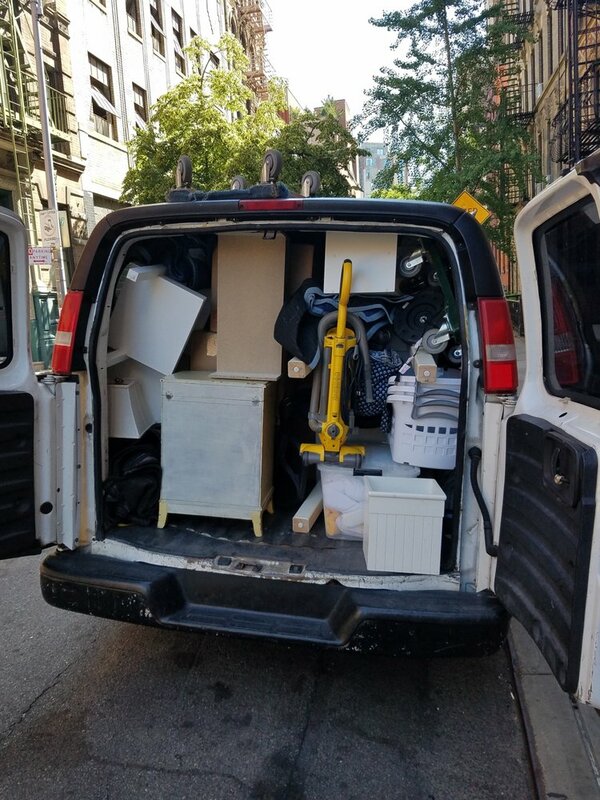 I had an very last minute moving situation and contacted Tim over Yelp to help move out of a storage unit. He was very quick to respond and gave me a good quote. They arrived on time helped finish everything quickly and made moving almost easy. 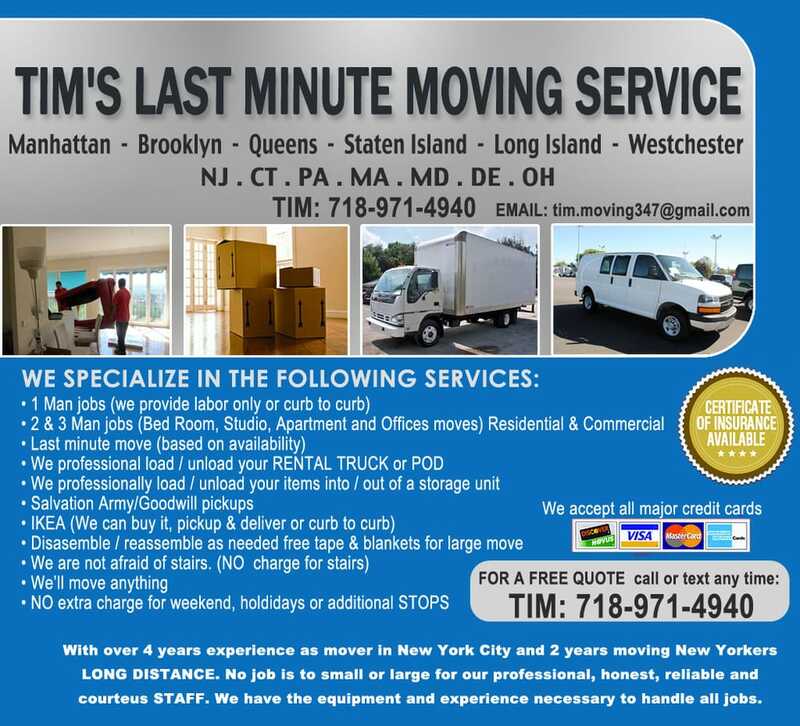 I would absolutely use Tim's Last Minute Moving again. Tim responded promptly to my request and his movers were very helpful, patient and understanding. All of my things were moved well and the movers even helped me pack things. When I needed to switch storage facilities unexpectedly, they helped me move there and were very understanding. I would definitely use this moving company again and highly recommend it. Booked for a one bedroom move (queen bed, closet, several boxes and shelves etc). They were great, arrived on time, finished slightly early, and handled everything with care. Would use again, especially because they didn't seem to waste any time and knew what they were doing! * fairly-priced* on time * professional* quick * friendly 5/5 would call Tim if I'm moving again. 5 stars for Tim, who was extremely professional and helpful. I would recommend him to anyone. 2 stars for the movers who helped us. I don't usually use movers so I'm not sure if this is industry standard, but they were slooooow. I've seen friends work much harder when they were just getting paid with pizza. The good news was that they didn't break anything - and I got a great workout moving a bunch of my stuff.